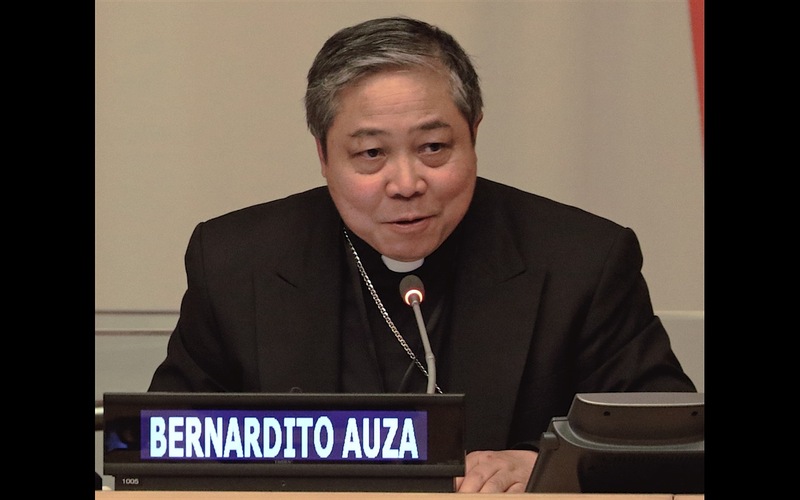 Archbishop Bernardito Auza, Apostolic Nuncio, Permanent Observer of the Holy See, lauded the work of Rondine Cittadella della Pace and its efforts to promote peace. His remarks came on December 10, 2018, at the side event, “Leaders for Peace: Rondine Youth Appeal for Human Rights,” at United Nations Headquarters, New York. Like the United Nations itself, the Universal Declaration was a response to the horrors of two world wars, genocides, and other barbarities. All peoples of the world recognized that there were some actions so wicked that no one could justify them and certain fundamental values that no one could dispute. The Universal Declaration became one of the most powerful expressions of conscience in modern history, inspiring and challenging the consciences of UN Members and the world ever since. The Declaration proclaimed in the first sentence of its Preamble that the foundation of peace in the world is “recognition of the inherent dignity and of the equal and inalienable rights of all members of the human family.” Peace in the world flows above all from remembering that each person, no matter how young or old, rich or poor, strong or vulnerable, healthy or sick, wanted or undesired, economically productive or incapacitated, politically influential or insignificant, has dignity and inalienable rights from the very fact of his or her humanity. When we fail to grasp this fundamental truth, when we do not act in accordance with it, we open the way to injustice, inequality, conflict, and even atrocities. Therefore one of the most important things for peace in the world is training people to recognize and reverence human dignity and rights in each and every person without exception. This is something that the Rondine Cittadella della Pace has been doing successfully for 20 years at its World House near Arezzo, Italy, and in 15 conflict theaters throughout the world. It’s also what it wishes to extend globally through its Leaders for Peace Campaign being launched today. At the heart of Rondine’s educational methodology is forming young people and leaders to overcome the temptation to classify and dehumanize others as enemies rather than as persons with innate dignity and inalienable rights. The first Article of the Declaration states that all human beings are “endowed with reason and conscience and should act toward one another in a spirit of brotherhood,” and that’s precisely what the Rondine method seeks to inculcate. It brings young people from opposite sides of conflict to live, learn and study together so that up close they overcome labels, prejudices, and resentment and begin to build something together. They enter into an existential dialogue, something that Pope Francis calls caminar juntos, “journeying together,” convinced that once people begin to walk together open to fraternity and friendship, they begin to recognize how much humanity they have in common, how much beauty and goodness exist in each other, and how much wisdom is imbued in the way the other approaches the most important questions of human life, its joys and hopes, its sorrows and fears. The type of dialogue Rondine promotes and the world needs, after all, is not just a polite and superficial exchange of words, ideas or sequential monologues. It’s ultimately an exchange of persons. 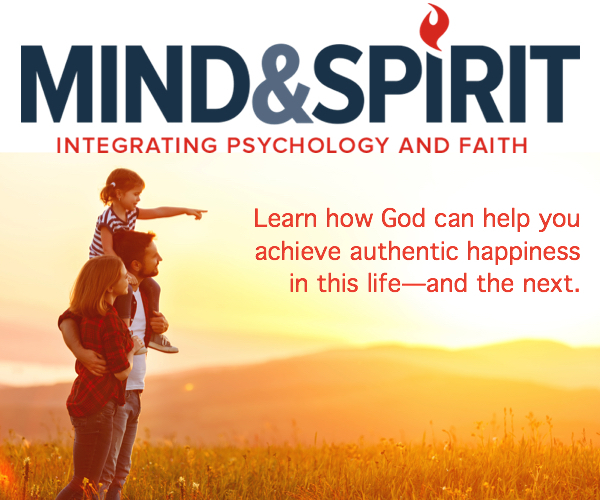 Even if there are great differences in another’s background, beliefs, and values, dialogue can begin with the good that attracts the other to value it and order his or her conduct and life according to those values. In so many places and contexts today, people focus so much on what divides that they end up rejecting other persons as a whole. To dialogue with another means to enter into conversation with what is deepest in the other, his earnest aspirations, her answers to the most profound questions of human life. True dialogue is driven by the conviction and awareness that the other is a good both in himself or herself, but also a good for me and the world. The other is not a threat. The other is not a competitor in an unending battle of survival of the fittest. The other is not an evil to be marginalized or eliminated. The other is an objective and subjective good. This is the caminar juntos that Rondine promotes. It makes possible the discovery of each other’s most profound dignity. When Pope Francis welcomed Rondine students to the Vatican last week, he praised the way the World House works, saying, “Your educational commitment is to host young people who, in various parts of the world, live stranded in cultures poisoned by pain and hatred, and to offer them a bold challenge: to verify in person whether the other, he or she who is beyond a closed boundary of barbed wires or impassable walls, is really what everyone claims: an enemy.” He said that in the last 20 years the Citadel of Peace has “developed a method capable of transforming conflicts,” precisely by transforming people in conflict, leading people out of the deception of mutual hostility and aversion and restoring in them a vivid sense of the other’s dignity. After listening carefully to the Leaders for Peace appeal, Pope Francis responded by heartily giving his support, sympathy, and blessing to the cause and committed himself to ask other Heads of State and Government to do the same. He underlined that there is a “need for leaders with a new mentality,” precisely those who know how to enter into the type of dialogue Rondine features. “Those who do not know how to dialogue and exchange with each other, … [who do] not try to meet the ‘enemy,’ to sit with him at the table as you do… cannot lead people to peace.” He encouraged Rondine through its educational efforts to continue its work promoting dialogue between persons, generations, cultures and societies, pointing out that the more we respect each other’s dignity and rights, the easier it is for us to become aware that we belong to the same human community, and the easier it is to grasp the personal responsibility each of us has to make rather than break peace. On this day in which the international community looks back 70 years with awe and gratitude for what has been accomplished as a result of the Universal Declaration of Human Rights, we also look ahead with hope that Rondine’s Leaders for Peace Appeal will, in fact, form new generations of leaders to prosper the cause of peace and the promotion of respect for human dignity and the inalienable human rights that make peace possible.